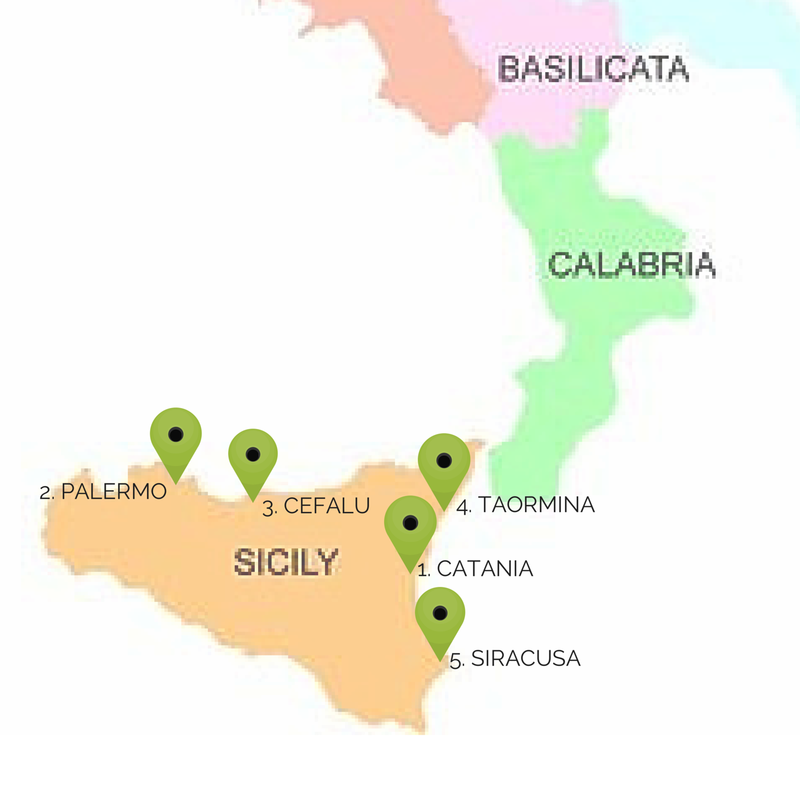 Sicily or La Sicilia, how Italians call it, is a separated south part of the country, it is an island. On the map it looks like the mainland Italy’s boot is kicking poor Sicily, but that’s just so you can better remember. 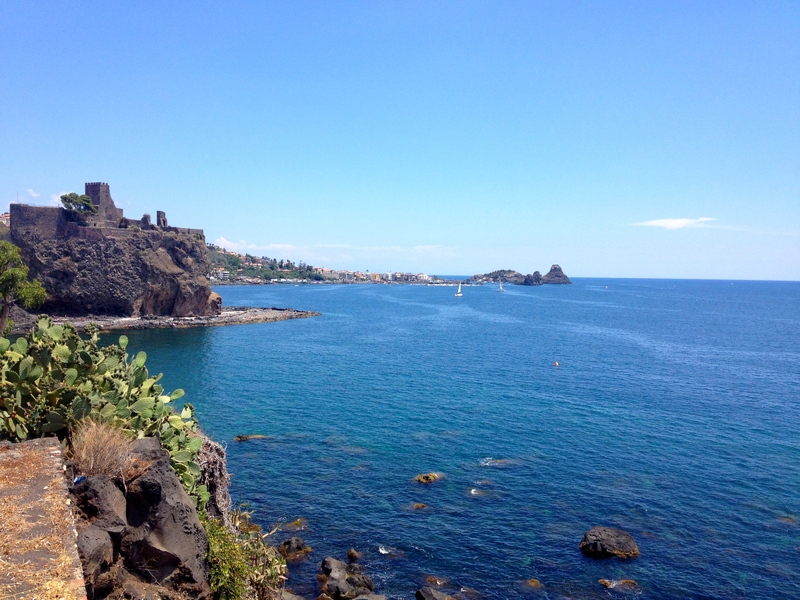 My journey stared in Catania, a city on the east coast of Sicily, overlooking Ionic sea. Right when I stepped off the plane the warm and dense southern air hit my lungs. Oh, how I’ve missed it! Last time I experienced this type of air was two years ago, in Croatia. It is incomparable to the air of northern cities like Moscow or Vancouver. The rich Sicilian nature with all it’s herbs and evaporations from the salty sea water fill you in completely. The city is not your typical “touristy” town which most of the people choose to visit if on vacation. 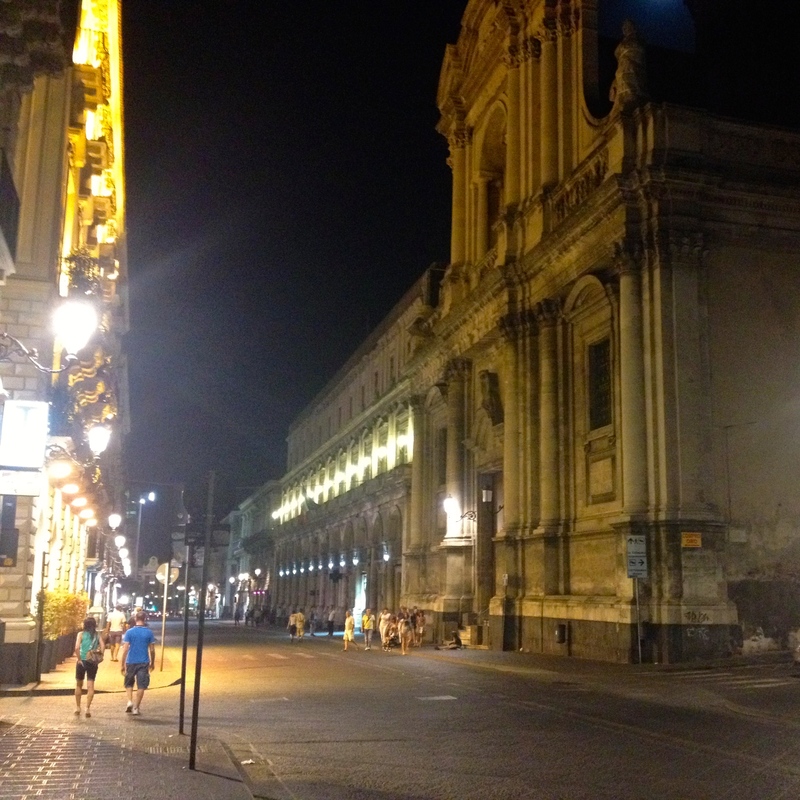 Catania is a regular city, with business centres, markets, main street – via Etnea – with a bunch of shops; and it so just happens that it’s by the sea. I was lucky enough that my friend was already there and greeted me in our apartment. Side note – when traveling I prefer apartments so much more over hotels! Especially, if you are going for more than a week, an apartment is a much better way to immerse yourself in the city life. Anyway, I couldn’t wait much longer, I needed to touch the sea! You know that feeling when you miss something so much, you just want to dive deep into it as soon as you finally can?! Our way to the sea went through most of the city. 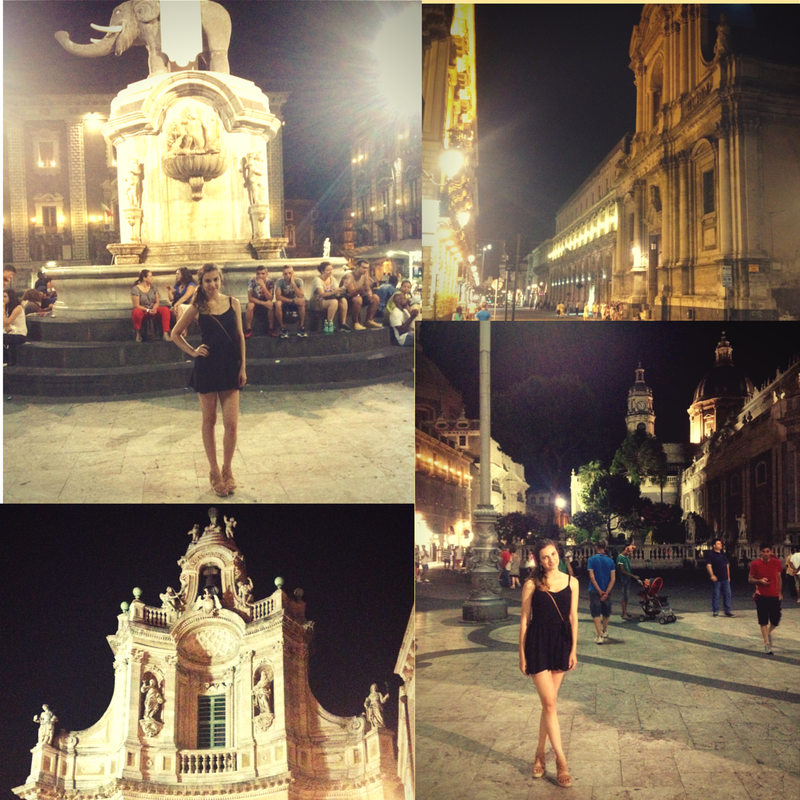 Catania is located at the bottom of the volcano – Etna. The distinctive feature of the city is that it is basically built on hardened lava, thus a lot of the ground and buildings are black or dark grey since Etna still occasionally erupts. Although, I didn’t get to see it during my stay. The awesome part about the volcanic dust is the fact that it is the best natural fertilizer and you can spot the difference! All the products we got from the market (imagine that it was also 1 euro for a kilo of anything!) were ecologically clean, organic, big and juicy! We got to the sea finally, and holy moly, was it breathtaking! This azzurro water colour can be found nowhere in the northern waters. On the flip side, the southern waters are super salty. You have to take a shower after swimming as tiny salt particles stay on your skin and hair. It’s a nice natural scrub every time, though!